Amsterdam, 14thMarch 2019 – A small 24 million ‘nurdles’ have been washed ashore on the beaches of the Wadden Sea Islands and along the dikes of Friesland and Groningen (NL). Cause? Containers falling overboard from the freighter MSC Zoe, early 2019. This has been established by researchers at State University Groningen (NL). The loss of nurdles initially appeared to be a one-off, but is in reality a structural problem. Earlier this year, 350 containers fell overboard from the freighter MSC Zoe. Several containers held plastic nurdles, raw material for products made from plastic. These washed ashore on the beaches of the Wadden Sea Islands and also landed along the dikes of Friesland and Groningen. Nurdles are extremely difficult to clean up although in Schiermonnikoog (NL) they are attempting the job with a specially adapted ‘vacuum cleaner’. They’re sure to keep washing ashore too. Researchers at State University Groningen (RUG-NL) have invented a clever way to map just where they can be found, with the use of volunteers and an interactive map at waddenplastic.nl .To enable this analysis, RUG researchers, along with the volunteers, map out quadrants along the flood line measuring 40x40cm and actually count all nurdles found in each section. This is repeated every ten metres, after which they enter the data on the website. Currently there have been three hundred quadrants counted, giving the baseline estimate of 24 million. Recent evidence also indicates that containers falling overboard can definitely lead to veritable nurdle disasters. It has happened before in South Africa and in Hong Kong. However, we’re wondering how things stand with daily loss of nurdles and Shoreliner offers us insight there. A quarter of a million nurdles are counted every two months. The Shoreliner catches floating plastic waste along rivers and removes it. The office of Tauw Civil Engineers has developed this system for the Port of Rotterdam NV and the Directorate General of Public Works and Water Management (NL). It recently won an award as most sustainable project by the Port of Rotterdam. The Shoreliner has been operating in the Lekhaven (NL) for two years already and is cleared out on alternate months. Apart from other floating plastic waste, approximately 250,000 nurdles are counted at every clear-out. This means around 3 million of them every year at this spot alone. The amount that reaches the sea via the Nieuwe Waterweg (NL) is reckoned at multiples of the amounts washing up from the containers lost by MSC Zoe. No pacts have been made and nothing agreed about the loss of nurdles. The nurdles collected in the Lekhaven originate at plastics manufactories situated upstream. These manufacturers are extremely shoddy in the use of their plastics, despite the sincere promises from the industry as a whole, around Operation Clean Sweep with regards to the prevention of loss of these nurdles. The Plastic Pact was recently ratified. This contains the promise to reduce the amount of waste plastics in the environment by 20%, by the year 2025. Agreements about the loss of nurdles, however, are missing within this pact. Individual plastics manufacturers such as Dow Chemical, Sabic, or Brealis, failed to add their signatures to the agreement, although the trade organisation under which they fall and to which they are affiliated, The Federation of Dutch Rubber and Plastics Industries (NRK-NL), did sign. The question is, will the NRK actually tackle the problem of nurdle loss, or not. Together with the North Sea Society (SNZ-NL) and IVN (NL), we at The Plastic Soup Foundation (PSF-NL) are carrying out research around Clean Rivers which concerns the waste collected in the rivers and along the riverbanks of the River Maas and the River Waal. The nurdle scores high among items found in Dutch rivers. This research is about to be widely extended thanks to an important donation from the Dutch National Postcode Lottery. Does the Rutte cabinet really want less plastic? Amsterdam, 6 March 2019 – State Secretary Stientje van Veldhoven (D66) of Infrastructure and Water Management has promised that in 2025 the Netherlands will use 20% less (packaging) plastic than in 2017. Agreements to that effect were made in the Plastic Pact with plastic producing and plastic using companies. However, real plastic producers such as Dow Chemical, Sabic or Borealis, did not sign the Plastic Pact, did not commit to any reduction. Late last year, the British chemical giant INEOS faced the choice of location for the construction of new plastic factories that use cheap shale gas from the United States as the raw material for pellets. The choice was between Botlek and Antwerp; the construction involved a 3 billion investment. The company eventually opted for Antwerp. 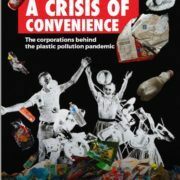 Both Belgium and the Netherlands lobbied hard to get the new get plastic factories, according to research by the journalist collective Follow the Money. 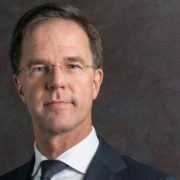 https://www.plasticsoupfoundation.org/wp-content/uploads/2019/03/Rutte.jpg 752 883 Carina van Uffelen https://www.plasticsoupfoundation.org/wp-content/uploads/2015/03/PSFlogo_nieuw-PNG-300x142.png Carina van Uffelen2019-03-06 11:34:212019-03-07 11:47:50Does the Rutte cabinet really want less plastic? Worldwide, at least 80% of the plastic that ends up in the oceans comes from land. Trash Hunters won’t accept this anymore, and help search for solutions by hunting litter on the streets, bringing attention to the problem while at the same time actively fighting it. What types of wrappers and packaging are most commonly found in the environment? Who are the producers of these items, and who are the litterers? These are the kinds of questions we hope to answer, and that’s where we need your help! By putting litter “on the map” during Trash Hunts, we can visualize, identify, and confront the sources of the problem. During a Trash Hunt, you don’t just pick up and properly dispose of litter, but with the help of the Litterati-app, you identify and register it as well. Over 2 million items have been categorized worldwide so far! With this information, it becomes easier to attack the sources of the litter problem, for example by developing better packaging or putting container deposit schemes into place for commonly found items such as cans and bottles. Join us and contribute to a constructive solution for litter, and by extension, the plastic soup: go on a Trash Hunt! Join our “Trash Hunters” group or create your own group in the Litterati App. If you start your own club, make sure that you choose Plastic Soup Foundation as affiliate. Then we will receive the data and we will be able to analyze it. 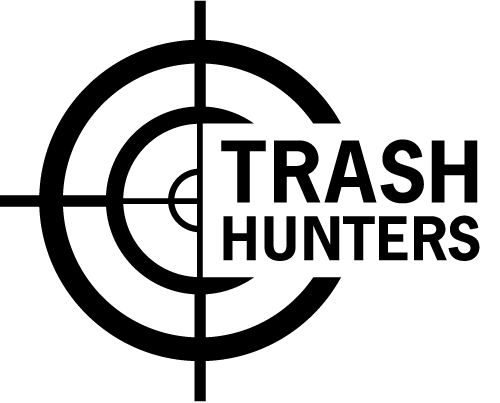 If you want to join the Trash Hunters – Plastic Soup Foundation club: You will find our club by searching “Plastic Soup Foundation” or “Trash Hunters”, and by tapping on “Join”! Once you’re in a club, you can start your Trash Hunt! Clean it up! This is how we place the issue of litter on the map together. On World Cleanup Day, hundreds of volunteers joined forces in the Netherlands to make our country a little cleaner. In one day, more than 35,000 items were registered (and even more were probably cleaned up)! On World Cleanup Day 2018, thousands of people in the Netherlands collected a huge amount of data about our litter problem using the Litterati app. More than 35,000 items were registered in the country that day. The app has proven to be a huge success! World Cleanup Day 2019 will take place on September 21st. Do you want to participate? Keep an eye on our website! Clean rivers, News, Press releases, Trash hunters, What can you do? Amsterdam, 28 January 2019 – At the start of this month freighter MSC Zoe lost at least 292 containers, some of which were filled with pellets. Pellets, also called nurdles and no more than 5 millimeters big, are used to make plastic products. The beach of Schiermonnikoog was covered with millions of these plastic granules. Because they can have a huge ecological impact on the fragile nature of the mudflats, the University of Groningen is investigating where they ended up. Contrary to larger pieces of plastic, these pellets can barely be cleaned up. Unfortunately, the loss of the millions of pellets on the Wadden Sea wasn’t an exception. In October 2017 nurdles from two cargo ships entered the ocean near the South African harbor town of Durban, after which a massive amount washed ashore. Furthermore, a recent Danish report shows that an extraordinary number of pellets were found in the environment around Danish plastic factories – the royal warrant holders of Lego. 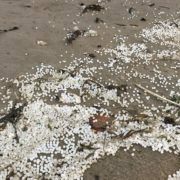 In May 2018 around 450.000 pellets were found on just one beach in Scotland; twelve miles from the Ineos Polymers factory where they are produced. And in 2016 English consultant Eunomia calculated that up to 53 billion plastic pellets are lost and end up in the environment in the United Kingdom alone. As You Sow has called to account the American pellet manufacturers Chevron, DowDupont, ExxonMobil and Philips 66 during shareholders’ meetings, and have demanded the creation of at least yearly reports that map the spills, describe which measures have been taken and how the spills were cleaned up. It is extremely important to gather evidence, so we can enforce measures that lead to the industry taking care of transport without pellet loss. 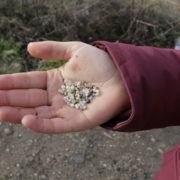 Where and in what concentrations are the pellets found on coastlines and shores? Everyone can simply help build this data with a smartphone, whether alone or in a group. 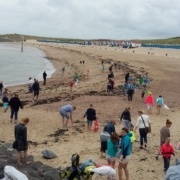 The Great Global Nurdle Hunt takes place between Friday 8 and Sunday 17 February. With that in mind The Plastic Soup Foundation will organize various pellet counts in the Netherlands that week, at new and still secret hot spot locations in places such as Zeeland and Limburg. Join us and sign up by e-mailing michielp@plasticsoupfoundation.org. You will then receive more information on dates, times and locations. to produce plastic suitable for the circular economy and keep it out of the environment. In 2016, the Ellen MacArthur Foundation presented an influential report with a list of actions. The report, The New Plastics Economy, has been written in cooperation with a large number of companies and organisations. The first point of action in The New Plastics Economy Global Commitment is new compared to the previous report. Now, for the first time, the elimination of plastic is emphasized. The elimination of, for example, not essential plastic items, such as plastic straws, cutlery, and unnecessary packaging. In an article publicizing the launch of the commitment Dame Ellen MacArthur, founder of this organisation, emphasizes this new direction: “We cannot recycle and clean our way out of this crisis ―we must move upstream to the source of the flow”. 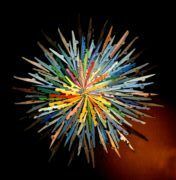 Important global players have committed to The New Plastics Economy Global Commitment, which is crucial, as they can really create the change. Unilever, Danone, PepsiCo and Coca-Cola are even core partners of this initiative. However, it all depends on how these companies will actually implement the “elimination of problematic packaging”. Because exactly these multinationals are mainly responsible for the Plastic Soup crisis and have yet not undertaken significant steps to solve this problem. We publicised an article last week on recent research of Greenpeace, which showed that the plans these eleven multinationals proposed allow for an unlimited growth of single use plastic. And they offer no real solution to put a stop to the plastic soup problem. Greenpeace calls the multinationals out on their false promises. These companies have focussed exclusively on the second and third point (innovate and circulate) and not on the first point (eliminate). This gives multinationals the opportunity to continue the indefinite use of plastic. the rejection of fake solutions that enable the continued use of plastics without limitations. Amsterdam, 14 November 2018 – Greenpeace exposes the falsehoods in the plans and actions of multinationals to curb the plastic soup. Eleven multinational companies active in the sector of fast-moving consumer goods, have been vetted by the environmental organization. 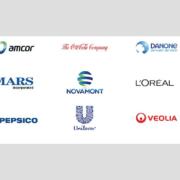 The companies are the biggest in the sector: Coca-Cola, Colgate-Palmolive, Johnson-Johnson, Procter&Gamble, Mars Incorporated, PepsiCo, Nestlé, Unilever, Mondelez International, Danone and KraftHeinz. None of these companies has formulated policy to reduce their total amount of packaging plastic. On the contrary, all plans presented so far allow unrestrained growth of single-use packaging plastic. Use of recycled material to replace new plastic. There is a large lack of recycling infrastructure world-wide, both in terms of the collection of plastic waste and of processing it. The brand audit report, based on the counting of stray plastic on brands in 42 countries, comes to the conclusion that Coca-Cola, PepsiCo, Nestlé and Danone are the biggest polluters. Greenpeace investigated how many single-use plastics the eleven multinationals sold in 2017 and comes to the conclusion that the companies that sold most, were exactly the same as the most polluting companies according to ‘The brand audit report’, even in the same order. Invest in recycling of bottles and trays and innovate in the associated logistics. Maria Westerbos, Director of the Plastic Soup Foundation: “The Greenpeace report touches on the sore spot. The promises of multinationals are hollow, as they are based on business as usual instead of on really fighting the plastic soup”. Amsterdam, 31 October 2018 – The free plastic bag has been banned for a while now, but this is not the case for bakeries. Bread at the bakery or in the supermarket is generally still wrapped in plastic. A family consumes at least one loaf of bread per day. This means that approximately 365 plastic bags are used annually. The Netherlands counts almost 5 million multi-person households. A simple calculation shows that every year about 1.8 billion plastic bags are used. Just for bread. Just for multi-person households. Just in the Netherlands. But there is an alternative. For a few years now, different sizes of the unprinted bread bag made of organic cotton, designed by Inge Barmentlo of Bag-again” have already been for sale online for a few euros. The bag can also be used for vegetables and fruits and is easy to close with a drawstring. 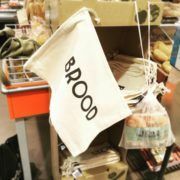 Since two years, a bag marked with the text “Bread” has been available. The concept of the bread bag has now been taken over by the Albert Heijn supermarkets, which have been selling a variant for a month. Selling the cotton bread bag in supermarkets is making it a mainstream product. Amsterdam, 18 October 2018 – Soft drink caps are one of the most common items found on beaches. The caps are made of a plastic that floats, while PET plastic bottles sink. Last May, the European Commission proposed a new directive to reduce the plastic soup. The plans are in part based on the items that are most commonly found on beaches. It is therefore only to be expected that the European Commission wants to make it mandatory that caps be attached to bottles. After all, this has been successful with the pull tags of drink cans. The vote on the new directive is due next Wednesday. In the meantime, the lobby machine of the soft drinks companies are working hard to reverse this step. According to an investigationpublished earlier this month into the most commonly found brands, the top three polluters are Coca-Cola, PepsiCo and Nestlé. These three companies, together with Danone, sent a lobby letter to the European Commission. In the leaked letter, as reported by De Standaard, they state that the intended measure will not lead to the desired result. Instead, they believe that a deposit or other collection system will enable at least 90% of all bottles, including caps, to be collected by 2025. In the meantime, should it appear in 2021 that this approach is not viable, fixed caps can still be made mandatory. The Independent also reported on the story. “If this proposal is accepted we will start introducing the mentioned commitments immediately,” the four companies promise. This sounds like blackmail as article 9 of the European Union’s proposal is already to have a collection of 90% in 2025. According to Recycling Netwerk, the soft drinks industry is refusing to take important action to reduce litter. 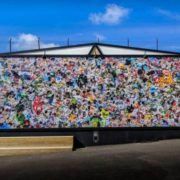 Recycling Netwerk summarises the industry’s tactics, saying that the companies are trying to postpone new measures to sometime in the future to gain time in the hope that the next European Commission will no longer introduce the directive. The multinationals emphasise that a deposit system would be effective in attaining the goals. This is ironic given that they are resisting introducing a deposit system in countries such as Belgium, France and Spain. 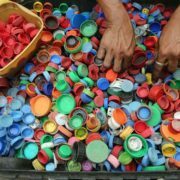 The four multinationals further state that in the Netherlands and Germany in March next year, they will assess the percentage of caps collected through the deposit system. But what they forget is that in the Netherlands, the deposit is only levied on large bottles and not on the small bottles. This is why small bottles are found everywhere as litter. In a report, CE Delft believes that 50-100 million plastic bottles, including the caps, end up as litter.